parking & accessibility on Poplar St. Copying and printing services are available at 10¢ per page for black and white copies/prints and 50¢ per page for color prints. Printing is available from all library computers. While available on the network, it is not possible for you to print directly from computers you bring into the library because of software and network limitations. Please note that the copier is able to print on special paper that you bring to the library. However, the library is charged on a per printed/copied page basis regardless of what paper is used so no discounts can be offered for your own paper. Faxing services cost $1 for the first page sent and 50¢ for each additional page. 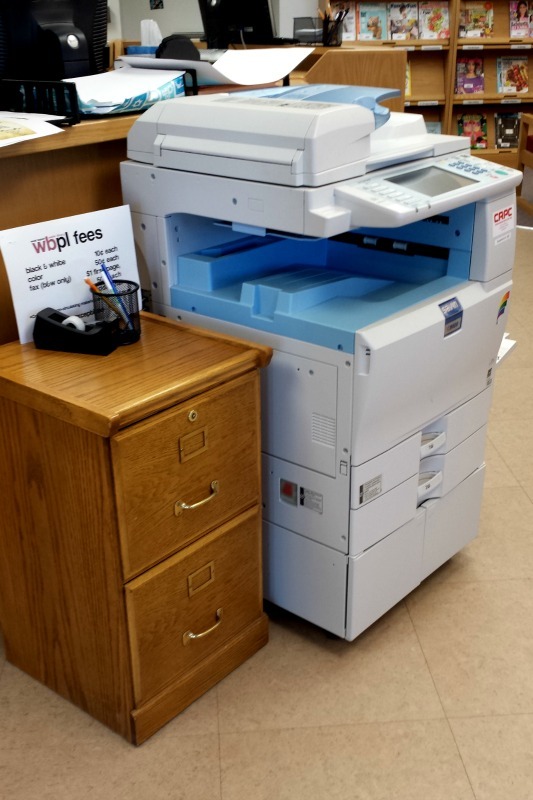 Cover sheets are available at the library’s copy/print/fax center and are not included in the faxing fees. Laminating services cost 50¢ per page. The library’s lamination machine is capable of laminating pages up to 10 inches wide. There are 8.5 x 11 lamination sheets available for your convenience, or you may bring your own lamination sheets.